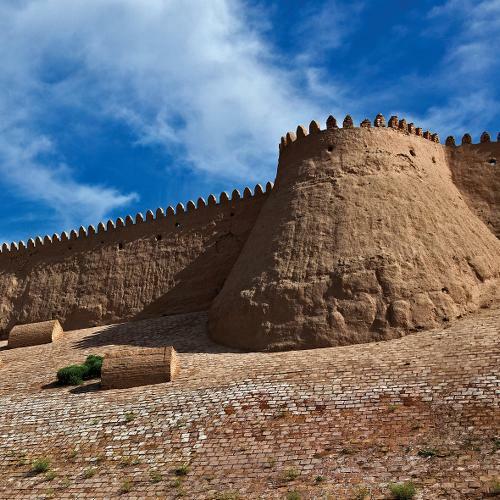 Retrace the footsteps of Alexander the Great, Genghis Khan and Tamerlane along the Silk Road, the famous ancient route that brought the flow of trade and knowledge from East to West. 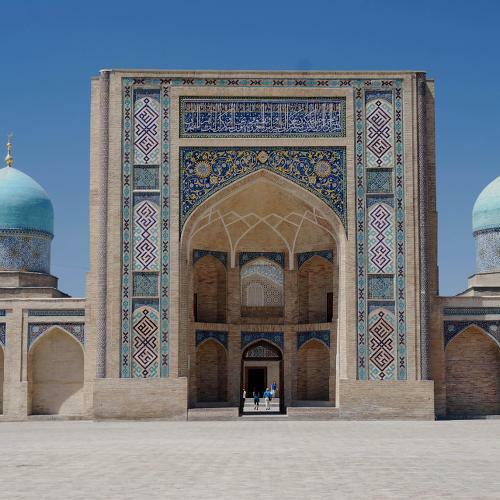 Tour Samarkand, Bukhara and Khiva, the striking oasis cities of the Silk Road, and admire the vaulted domes, towering minarets and intricate tile work of medieval Islamic architecture, including Samarkand's spectacular Registan Square. 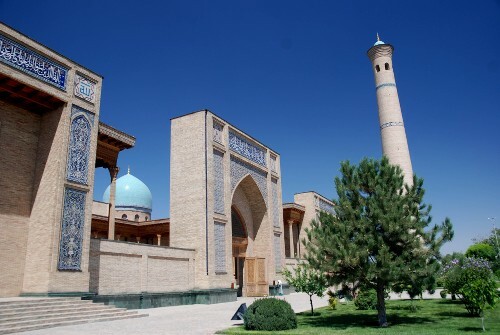 Enjoy the museums, monuments and markets of Tashkent; tour ancient palaces, mosques and mausoleums; wander the narrow streets of walled cities and shop for colourful carpets, silks and ceramics in bustling bazaars. Cycle your way through contrasting desert and mountain landscapes, and engage with the cultures and age-old traditions of local communities by camping under the stars in the Kyzyl Kum desert. 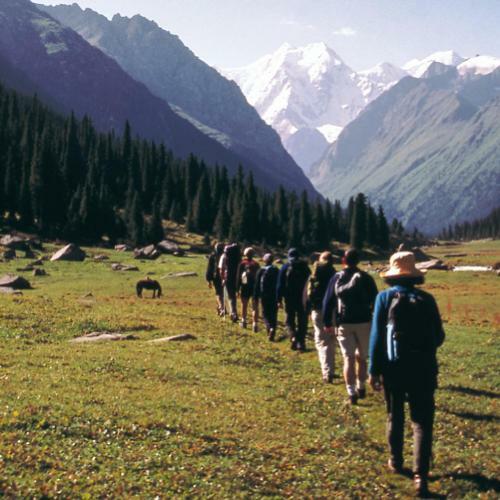 From engaging city tours and comfortable cycle journeys, to more challenging treks and mountaineering expeditions, World Expeditions leads a host of unique adventures tailored to get you deep into the heart of Central Asia. 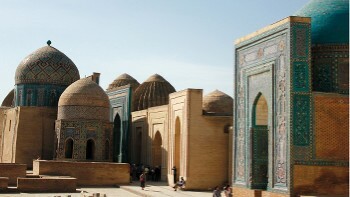 Visit ancient mosques, madrasses and mausoleums in Samarkand. Grab your camera and explore the incredible medieval Islamic architecture in the city of Bukkhara. 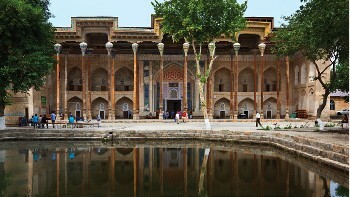 Standing at the heart of the Samarkand, this is Central Asia's most revered example of Islamic architecture. Wander around the stunning tombs and towering minarets of Itchan Kala. 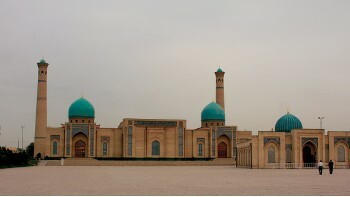 View the oldest known copy of the Holy Koran in the vibrant capital city of Tashkent. 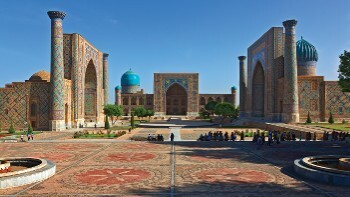 Our Uzbekistan itineraries offer great value for money, featuring park permit fees and fully supported camping accommodation. We aim to incorporate as many inclusions as possible in the tour cost such as most meals and private, air conditioned transportation, eliminating the need for you to carry large sums of money. Whether you are hiking, cycling or touring through Uzbekistan, the country offers endless adventures for the active traveller. Famous for its mosques, mausoleums, and Silk Road sites, our adventures encompass the highlights of the impressive and ancient culture. Our local experts aren't just guides; they are also keen adventurers like you. Their passion for exploring their country will shine through as they share their local knowledge and take care of all logistics to ensure your journey is a smooth one. 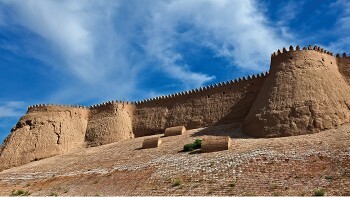 Uzbekistan has an extreme continental climate. It is generally warmest in the south and coldest in the north. Temperatures in December average -8°C in the north and 0°C in the south. However, extreme fluctuations can take temperatures as low as -35°C. During the summer months, temperatures can climb to 45°C and above. In recent years Uzbekistan has been notably affected by general global warming and the specific effects of the drying-out of the Aral Sea. This has turned snowy cold winters to mild ones with less precipitation. Uzbekistan’s official and primary language, Uzbek, belongs to the southeastern or Chagatai branch of the Turkic language family. The Uzbeks were the least Russified of the Turkic peoples formerly part of the Soviet Union, and virtually all still use Uzbek as their primary language. Following independence from the Soviet Union, Uzbek replaced Russian as the language of education. Russian language skills among Uzbeks have declined greatly since independence, but in a region that is very multilingual, Russian is still the lingua franca of Central Asia. Basic English is spoken by some students, government officials and by those who work in hotels and other tourism industries. USD is the best currency to carry in Uzbekistan. We recommend you bring US Dollars cash only dated no earlier than 2006 (the newer the better) in varying denominations as your main source of money. ALL notes should be in excellent condition. They should not be torn or have any writing on them. If in doubt ask your bank to supply alternatives. Credit cards and ATM’s are not as widely accepted in Uzbekistan so it is not recommended to rely on these solely. Electricity in Uzbekistan is 220 Volts, at 50 hertz. The most common pin type is C. (2 round prong). US citizens can gain a visa via two ways. The easiest and quickest is an e-visa through the official website - https://mfa.uz/en/consular/visa/ - The price is US$20 and takes 2-5 business days to issue the visa. The e-visa works at all entry points: land borders and airports. No sticker is placed in your passport, only an entry/exit stamp. If you cannot apply to the e-visa website, you will need to apply through your in country embassy. The cost change regularly and can vary from US$55 to US$120. Upon arrival you should carry spare passport photos (approx 2 photos). It is very important that upon arrival in Uzbekistan you fill in a customs declaration form in duplicate and retain one form in your passport for your departure from Tashkent. All other nationalities please check with your reservations consultant. Please bear in mind that visas may be required for countries you are visiting en-route or transiting through on the way to your destination. It is important that you check the requirements of all countries you will visit.